The CEO and founder of Afrostream, Tonjé Bakang, pens an open letter about the future of his company. This piece was originally published in French on Medium and was translated by contributor Audrey Lang. On September 13, 2017, almost two years after the launch of the Afrostream video-on-demand service, we are stopping the addition of subscriptions. The service is closing in France, the United Kingdom, Belgium, Luxembourg, Switzerland and in 24 African countries including Benin, Burkina Faso, Cameroon, Congo, Gabon, Guinea-Bissau, Senegal and Togo. Thank you to the thousands of subscribers who have trusted us and the hundreds of thousands of fans who have followed us on social networks. Entrepreneurship is a piecemeal game, you just have to miss once for everything to stop. This is the end of a great entrepreneurial adventure that began in November 2013, almost four years ago. The closing of a company is always a shock for an entrepreneur, but it is also an experience and lesson that will be a precious reminder for other projects as well as a reserve of knowledge and best practices that I will be delighted to share with other entrepreneurs. I have led Afrostream here but it is possible to go even further. Many people will be filled with sadness upon receiving word of the announcement of this closure. Some are already speculating as to what led us to this premature end. 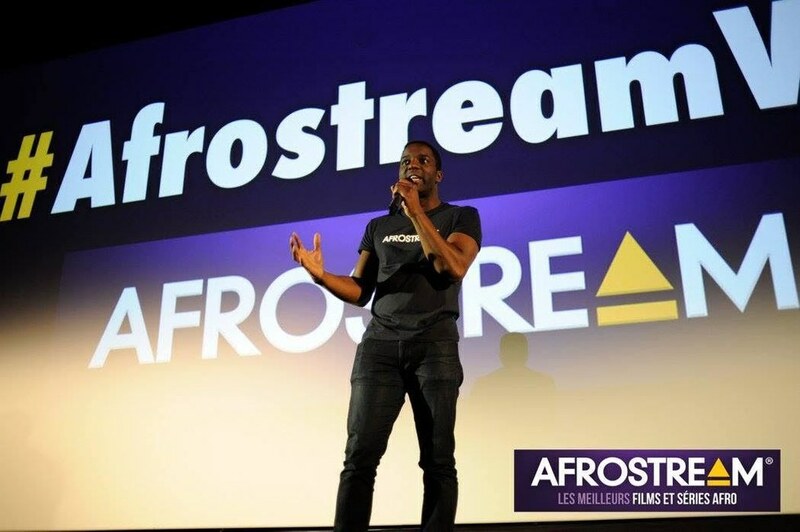 I would like to step back and share with you the story of the birth, growth and then closure of Afrostream in France. Afrostream was born from a simple observation: African, Afro-Caribbean and Afro-American films and series deserve to have wider dissemination. A public in search of representation or discoveries does not always have easy and legal access to aspirational content. The solution we provided was a legal subscription streaming service offering more than 2000 hours of content available on computers, phones, tablets and since the summer of 2016, on the boxes of more than 12 million homes in France on either a Bouygues Telecom or Orange TV offer. 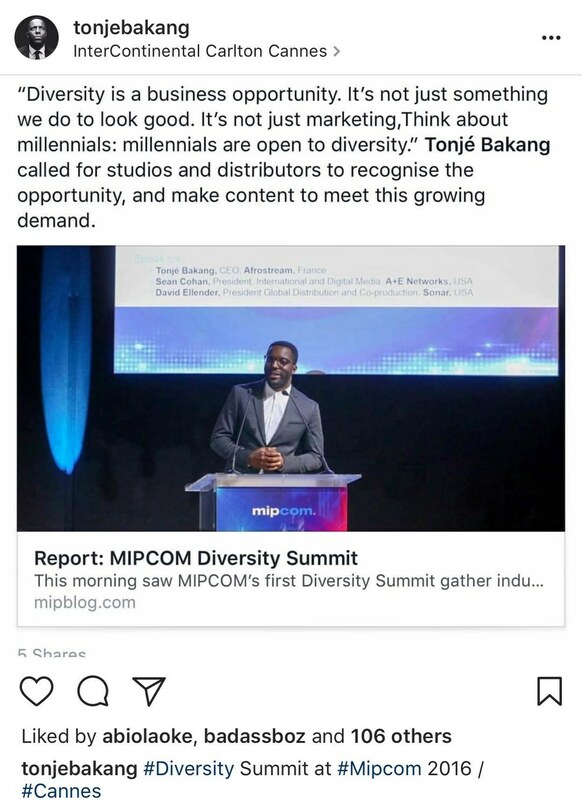 Launching a digital media company requiring the legal acquisition of film and series rights from major Hollywood studios, American chains and more than 100 African producers seemed to be an impossible task when starting the project alone. The fact that Afrostream existed is a small miracle in the media industry in Europe and particularly in France. To realize this vision, I began by surrounding myself with a talented team. A team specialized in media, whose members went through M6, the Lagardère Group and Molotov. I was accompanied and trained in the ecosystem of startups with TheFamily and their training Koudetat and Koudetat fundraising, I benefited from the training to Entrepreneurship of Cantillon and the start-up incubator Orange Fab. At the time, on the Afrostream Facebook page, the 50,000 fans who were following the genesis of the project imagined that Afrostream was already a big company with strong kidneys when we were only comprised of 2 people, my co-founder and I. Despite of my limited personal resources (I had abandoned all other professional activities to devote myself to Afrostream) I invested massive amounts of my time on social networks to promote the concept to potential customers. 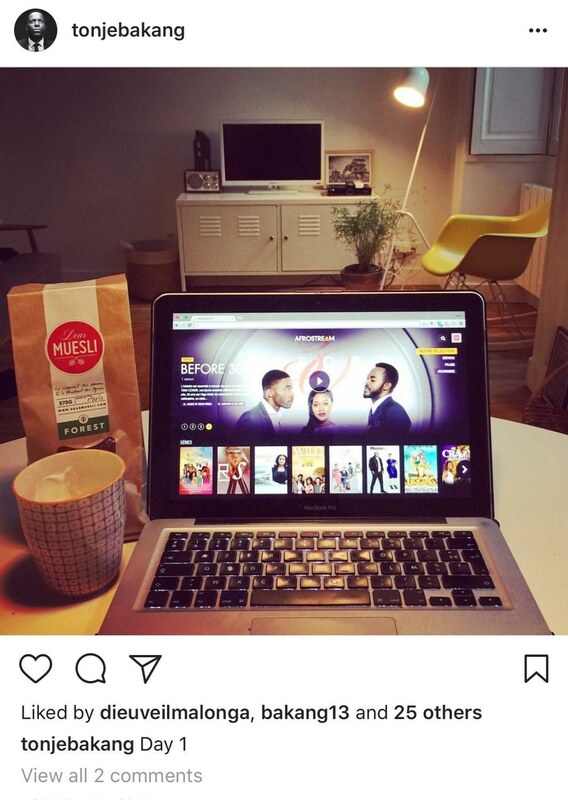 This strategy was validated when the TF1 team contacted us to create a partnership between MYTF1VOD, their video-on-demand platform, and Afrostream which was only a Facebook page and a homepage on the Web at that time. 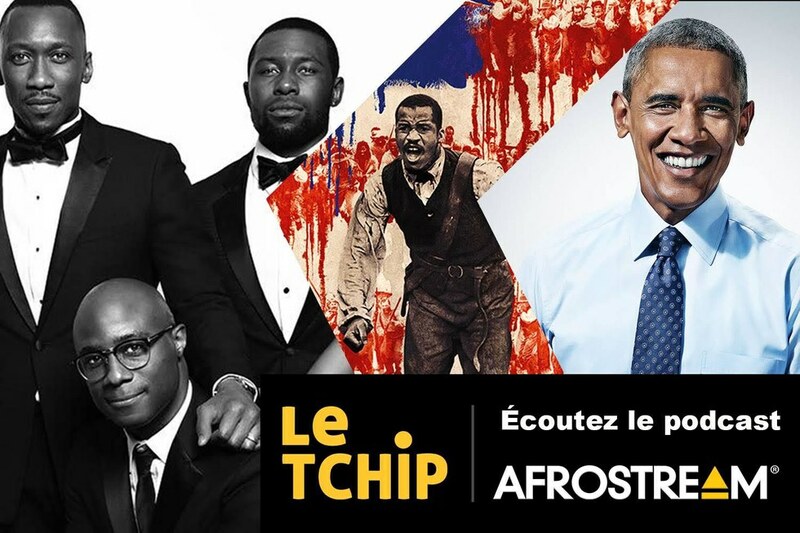 This partnership gave birth to Afrostream VOD, a selection of Afro films broadcast for the first time via the largest European media. Thanks to the newfound notoriety generated by this strategic alliance and after financing the birth of Afrostream with my own funds, it was time to meet investors and raise funds. The founders of the private start-up support structure in Europe, TheFamily, Alice Zagury, Osama Ammar and Nicolas Colin were the first supporters of the start-up ecosystem to believe in Afrostream's potential. Thanks to their training and supportive program, I was able to create the necessary file to seduce VCs. Osama Ammar put me in touch with about thirty fund-managers in Paris and London. Despite courteous interviews, none of my potential investors really understood the problem that Afrostream solved. At the time, they were also not convinced that Africa could be a continent full of opportunities for subscription based media. This first road show was a failure. I found myself hitting a wall that could have led me to throw in the towel. Why raise funds instead of staying independent? Many internet users do not understand that to broadcast movies and series on a video-on-demand service, Afrostream must pay fees. Often our fans consider that the content is free since it is also on illegal streaming sites that monetize their piracy through advertising. It is the illegal nature of these websites that allows them to have a large catalog that they make available to free surfers. For a legal offer like ours, we had to be able to pay between 1000 € and 15 000 € per episode for a series and between 2000 and 50 000 € for a film, for a year of use and on a list of well-defined territories. The amount of duty depends on several factors; notoriety of the program, notoriety of the casting, quality of the production, availability of a French version, exclusivity, piracy of the program. Take the example of a series of 2 seasons of 10 episodes per season at 1,000 € episode per year. This is the price of an independent series, often confidential, without subtitles available in French. 2 seasons x 10 episodes x 1,000 € per episode = 20,000 €. To create French subtitles for an episode in English it is necessary to add 500 € per episode or 10, 000 €. We are thus at 30,000 € for 1 independent series without great notoriety which will be available on Afrostream. To promote this program, we have to create new trailers with the Afrostream graphic charter, create visuals, invest in online advertising (Facebook Ads, Mailchimp, media partners ...) and create events. The marketing budget for an independent series like this one is at least 10,000 €. We are therefore at 40,000 € for one year of operation of an independent series of 2 seasons. But a series is not enough to create a sufficient supply for a subscriber. How many series does it take? 10 series? On the basis of my example, this represents a budget of 400,000 € for one year. 30 series? € 1,200,000 for one year of operation. Keep in mind that in my example I used the price for the cheapest episode. For films, it is obviously the same process. Let's take the example of an African-American independent or Nigerian film (Nollywood) at € 3,000 per year of use. This is the price of a film released 2 or 3 years ago that isn't renown in French-speaking countries, without subtitles available in French. To create the French subtitles of a feature film in English + Nigerian local languages, add 1000 €. We are therefore at 4 000 € for a film without much notoriety. To promote this film we must add a marketing budget of a minimum of 10 000 €. We are therefore at 14,000 € for a year of use of an African-American independent or Nigerian film released 2 years ago. How many films does it take to make up an interesting catalog? 50 movies? On the basis of my example this represents a budget of 700.000 € for one year. 100 movies? € 1,400,000 for one year of operation. Here too, I used the cheapest movie price. So for 30 independent series of 2 seasons and 100 independent African or Nigerian films with subtitles in French, it takes a budget of € 2,100,000 for one year of operation. To amortize the cost of these 30 series and 100 films (€ 2,100,000 per year), it takes about 25,000 subscribers paying a subscription of 7 € per month for 12 months without interruption. The budget for content does not include the budget to develop the streaming platform, server costs, application development for smartphones, tablet and box operators. It is about 500,000 €. It also important to account for operating costs, team salaries, consultant invoices, lawyers, offices, travel abroad, and marketing. In total, this amounts to approximately € 1,000,000 per year. In this minimal scenario, for the year of launch of the streaming service Afrostream the need for funding for content + technology and operating costs amounts to 3,600,000 €. To depreciate this budget, approximately 44,000 subscribers are required to pay a subscription of € 7 per month for 12 months without interruption. In May of 2015, it was not possible for me to raise € 3,600,000 with a crowdfunding campaign among our 60,000 Facebook fans! Faced with these colossal figures and the refusal of European investors to follow me, the project was at an impasse. 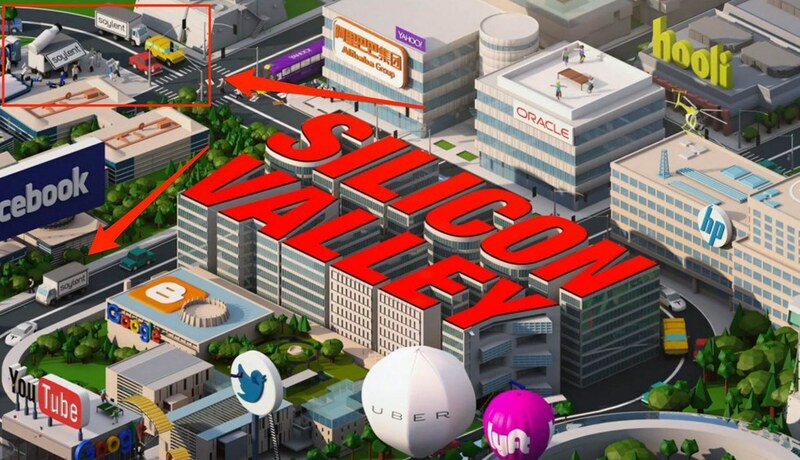 Our salvation will come from the United States, more specifically from Silicon Valley at Y Combinator. In June 2015, we were fortunate enough to be selected by the most prestigious startup accelerator in the world. This selection allowed us to receive funding of $120,000 and support for the development of our company for four months in San Francisco. At the end of this program, we presented our progress and ambitions to more than 400 investors on a Demo Day to try to raise the necessary funds to launch our service. The $120,000 investment from Y Combinator was a huge amount for me, though that amount still did not allow me to launch my streaming service. Let's put that $120,000 on the back burner for context. Flights to/from + computers + transport and food for 4 people during 4 months = $10,000. So there are $90,000 left to finance our € 2,100,000 in content, our € 500,000 platform and € 1,000,000 in fees for the first year...Mission impossible, I told you. What progress could we make in four months to impress Silicon Valley investors and start the service? Impossible! We obviously could not afford it. Again, this is the impasse. With the advice of Michael Seibel, a partner at Y Combinator, we launch a pre-subscription campaign to Afrostream for our Facebook fans. The idea was simple: to prove to potential investors that we were addressing a public willing to pay for a service designed to meet a need they had expressed. We proposed subscribing in advance to an annual subscription to benefit from a 40 percent discount and access to the service one month before others. The formula offered was 39.99 € for 1 year of movies and series. We offer these pre sales to our 60,000 fans and after 3 months we sell 2,000 annual subscriptions. It's less than 4 percent of our fan base but significant enough to prove our target's commitment. And I want to thank those first subscribers, without whom anything would have been possible! Following our presentation to investors, I managed to raise a total of about $4,000,000 to develop Afrostream for 2 years. For those who skipped the previous paragraphs $ 4,000,000 may seem like a colossal sum to spend in 2 years. It's nothing when it comes to media. 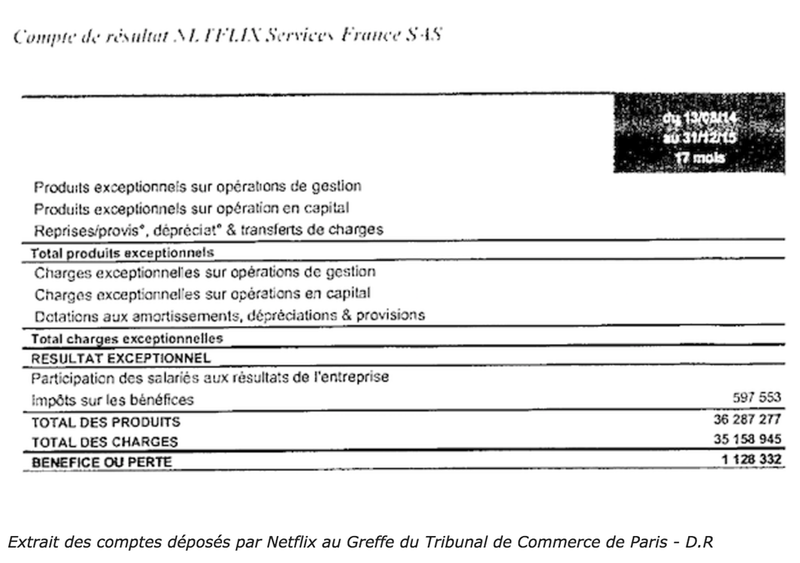 Neither film and series rights nor IT development costs are included in the expenses of the Netflix subsidiary in France. At the end of December 2015, Netflix France had about 500,000 paying subscribers. This means that, excluding cost of content and technical cost, Netflix France spent 66 € to recruit each subscriber. I repeat this does not integrate the billions of dollars that Netflix devotes to content and its technology. At € 66 acquisition cost, Afrostream would need a marketing budget of € 2,904,000 to recruit 44,000 subscribers...That is almost three-fourths of the $4,000,000 raised. I would like to reiterate that 4,000,000 is not much in the end! Shortly after the launch of our offer on September 1, 2015, despite the shortcomings of the service (bugs, catalog size, subtitles problems) we saw a strong increase in subscriptions. What was only a project became a service to which thousands of people subscribed. I was so committed to creating a strong brand that most subscribers believed we were an impeccable service comparable to that of Netflix. No one knew our biggest secret...the one that I was both ashamed of and I was also proud of: while we had thousands of subscribers, Afrostream's permanent team consisted of only four people! Three engineers, responsible for creating and maintaining the technology, and me responsible for business development, content acquisition, marketing, community management, and of course raising funds! We rapidly signed strategic partnerships with major American studios (Sony Pictures, Warner Bros, Viacom, Lionsgate, Disney), with African channels like RTI in Côte d'Ivoire and the BET for distribution of their content. In April 2016, eight months after our launch we crossed the 10,000 subscriber mark. An impressive figure given our reduced marketing budget. It was time for me to put back on my fundraising cap and convince our first investors to reinvest and help us convince others. We set up a new business plan to increase our finances so as to: increase our subscriber base in France, invest in original content and finance expansion in 24 African countries. The ambitious plan needed $10 million for three years. While I thought Afrostream's growth would be enough for investors, most of them criticized us for not being profitable before soliciting them for a new fundraiser. It is true that startups are recommended to be in balance, "break even", or profitable when they undertake their 2nd fundraising. It was at this point that I realized that contrary to what I thought, Afrostream was not a startup but a medium with financing needs related to the audiovisual industry. In our industry, it is quite normal not to be profitable in the first years. C8 (ex-D8) has accumulated 371 million euros since its creation. 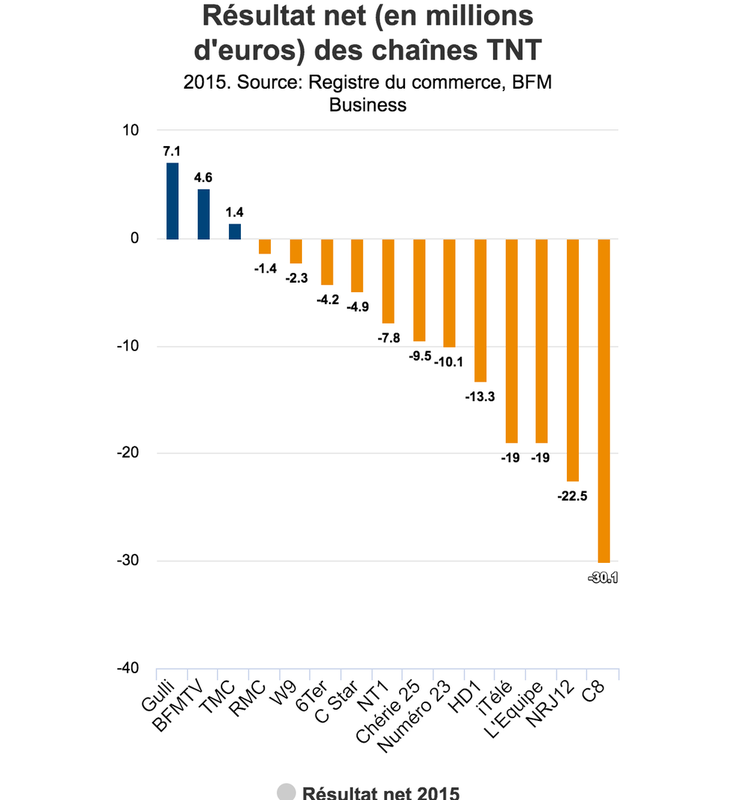 NRJ 12 accounted for € 163 million of the losses (source). Netflix is 4.8 billion in debt (source). Despite the reluctance of some of our historical investors, I went back to Paris, Geneva, Milan, London, New York, Los Angeles, San Francisco, Abidjan, Lagos and Johannesburg to convince new investors to finance our growth. Even if it sounds counterintuitive, the more subscribers we needed the more funding we needed for content. We found that the most loyal subscribers viewed most of the titles that interested them in three months. In order to preserve them, we had to constantly highlight our catalog and buy new content. In addition, 2,000 subscribers and 10,000 subscribers with the same catalog size are not satisfied. The more subscribers we had, the greater the range of subscribers' tastes. Simply put, when you decide to go to the cinema with four friends the choice of the film is a little more difficult than when you go with two because the tastes differ. When you have empty pockets, it is better to wear a beautiful suit! In the summer of 2016, still on the road, far from my team, trying to raise funds, I decided to recruit talent to better structure our sales and marketing force. Faced with the impossibility of financing the purchase of new content, my strategy was to better highlight the richness of our catalog and better market our offer through distribution with Orange and Bouygues, the sale of 20,000 prepaid subscription cards in France, on e-commerce sites and to offer payment in CFA francs in certain African countries. We innovate by launching Afrostream Life, a portal of free articles dedicated to Afro pop culture. Shortly after we produced and broadcast our first original program, a podcast: The Tchip. A talk show offering an unprecedented point of view on the news. These two projects were aimed to familiarize a broad audience with the universe and values of Afrostream. The Tchip is an immediate success as Afrostream Life struggles to develop because with a small team, this ambitious project had no driver to carry it out. In November 2016, more than a year after our launch, advanced discussions with two investors leave me thinking that we were coming out of the tunnel. After the end-of-year celebrations, while the negotiations around the fundraising crumble I decide to go abroad again to convince the last hesitant investor. On March 17, after some false hope, the bad news falls. One of the investors changed his mind at the last minute, he withdrew. There will be no more investment in Afrostream. This event marked the clinical death of a growing project, a project for which the team was fighting relentlessly, a project with a real social and cultural impact, a project to which I devoted four years of my life. For our subscribers, for all those who believed in the good of Afrostream's mission and for those who were inspired by my entrepreneurial journey and who believed in me, I couldn't give up so easily on any attempt to save Afrostream. While we no longer had the means to buy content and to carry out marketing actions, with a burst of energy and motivation, I decided to launch a light version of Afrostream in the United Kingdom. I had acquired the rights of exploitation of a part of our catalog for this country. This quick launch created a buzz around Afrostream which allowed me to approach more competitors and partners for the sale of Afrostream. I wanted at all costs to avoid the closing of the service by leaving it in the hands of someone bigger, even if it meant losing a bit of my independence and that of my teams. The scope of a project like Afrostream exceeded my entrepreneurial spirit. Between April and August 2017, I began discussions with more than 10 potential buyers, I moved to Los Angeles, Miami and New York to convince them to move forward quickly because I knew that our cash flow would not allow us to pass the summer. Even though they were passionate about Afrostream, the team, now eight, needed their salaries at the end of each month. With the expiration of certain broadcasting rights and without marketing, the amount of revenue related to monthly subscriptions fell quickly. End of August, I could not afford to pay any wages...it's time to hang up the gloves. I would have liked to take my project higher, farther but it didn't last forever as expected. So I take the blow, I pause...to restart better! As the discussions with the American buyers were unsuccessful, I decided to suspend the activities of the French subsidiary, Afrostream Studio France, and to market the offer in France, Belgium, Luxembourg, Switzerland and in 24 African countries. The Afrostream brand and the developed technology remain the property of the American company Afrostream Inc, the parent company of the French subsidiary, a sale is still conceivable for some time. Afrostream was and remains a formidable human and entrepreneurial adventure. My team and I have proved that we can not limit our expertise to an Afro cultural theme or to the African market. We created digital media in France; created a subscription-based content offering for thousands of rather urban subscribers aged 20 to 40 years. We have created a brand with a strong reputation among a community of fans sharing a common interest. In Europe, we have created value around content that the French audiovisual industry often considers unusable. What the Afrostream team did in a short time is a small miracle that is not due to chance but to the audacity and experience of a team of media experts. There is no doubt that each and every one of them will quickly find opportunities to highlight their talent and express their creativity. It is not because I am not a millionaire that I have lost. I have become rich with an invaluable experience. As for me, I am more convinced that there is a growing space for innovation, experimentation and disruption in the media, especially in the production of original fictions. So I'm going to continue to create value in this creative industry where I started working at age 16. Hundreds of project leaders, inspired by my career, see me as a mentor. I am passionate about their passion for entrepreneurship and innovation. I also want to share the lessons of my many entrepreneurial experiences with those who want to get started in more detail. My international network of entrepreneurs, investors and influencers is capital that I will share with an ecosystem of startups who have supported me so much. Another 1,000 thanks to our subscribers, my team, our investors, our partners, my family and my friends. Starting a startup is like creating a Tinder profile. At first sight it is attractive. When you take a closer look, it looks complicated. At the third glance, it looks insurmountable. But as in all romantic encounters, starting a startup begins with passion but ends up sometimes with a tear. As in any relationship, the fear of suffering in the end must not obscure all the happiness that precedes. It is exactly the same with entrepreneurship. After a failure, you have to start again. If I had to do it again, I would. 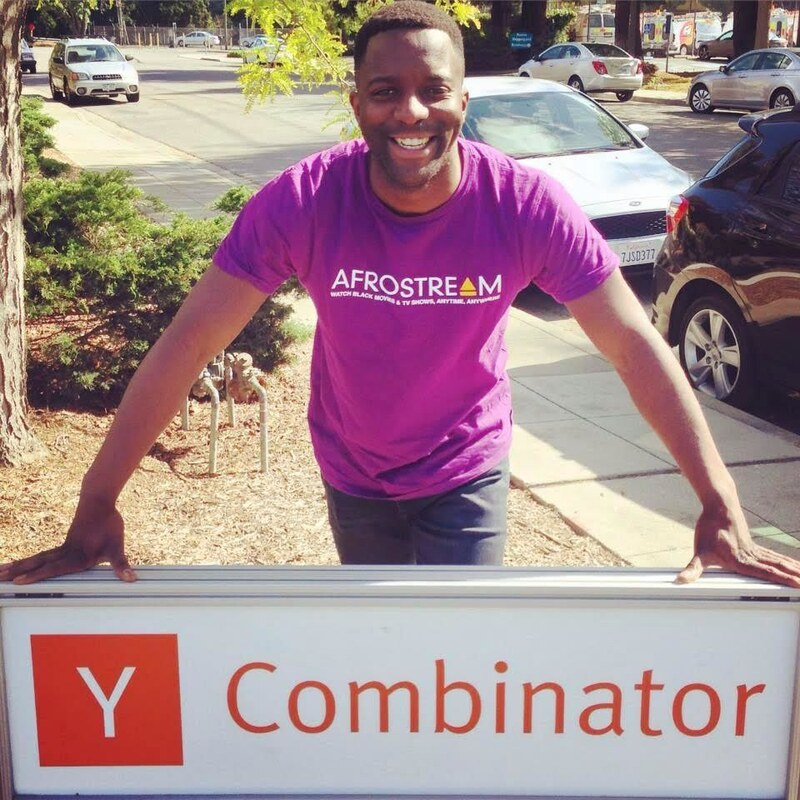 Tonjé Bakang, founder and CEO of Afrostream Inc.